On November 29, 2012, the US Attorney’s Office for the District of New Hampshire announced that David M Kwiatkowski was indicted for infecting patients in New Hampshire and other states with Hepatitis C. He is a former Exeter Hospital employee. According to the indictment, Kwiatkowski worked in Michigan as a health care worker and became a traveling health care technician in 2007. He worked in New York, Pennsylvania, Maryland, Arizona, Kansas, Georgia, and New Hampshire. Kwiatkowski knew he was infected with Hepatitis C since at least June 2010, and he started working for Exeter Hospital in April 2011. While working at Exeter Hospital, Kwiatkowski stole the controlled substance fentanyl—which has analgesic effects. He knew when a patient was going to undergo a medical procedure, and he replaced the syringes of fentanyl with syringes of saline. 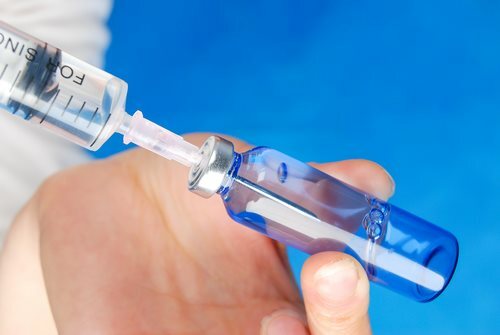 The syringes filled with saline were originally filled with fentanyl, but Kwiatkowski used the syringes himself before refilling them with saline—thus tainting the syringes before they were used on patients. Over 30 people became infected from Kwiatkowski’s Hepatitis C virus in New Hampshire and other states. He was arrested on July 19, 2012. Hepatitis C is a blood-borne virus that is capable of causing serious liver damage. The Centers for Disease Control and Prevention (CDC) state that Hepatitis C kills more people in the United States every year than HIV. Kwiatkowski is charged with seven counts of tampering with a consumer product and seven counts of fraudulently obtaining controlled substances. He faces up to 10 years in prison on each tampering charge and up to four years in prison on each count of obtaining controlled substances. Each count is punishable with a $250,000 fine as well. The investigation is still ongoing. Kwiatkowski remains innocent until proven guilty.